Have we really heard the message of Colossians? Is this New Testament book just another religious text whose pretext is an ideological grab for dominating power? Reading Colossians in context, ancient and contemporary, can perhaps give us new ears to hear. 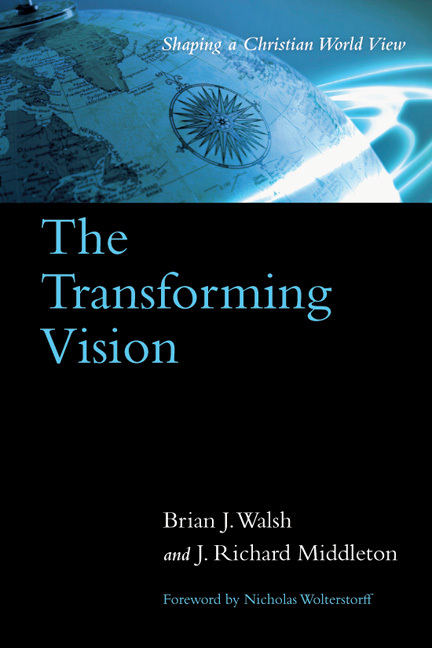 In this innovative and refreshing book Brian J. Walsh and Sylvia C. Keesmaat explain our own sociocultural context to then help us get into the world of the New Testament and get a sense of the power of the gospel as it addressed those who lived in Colossae two thousand years ago. Their reading presents us with a radical challenge from the apostle Paul for today. Drawing together biblical scholarship with a passion for authentic lives that embody the gospel, this groundbreaking interpretation of Colossians provides us with tools to subvert the empire of our own context in a way that acknowledges the transforming power of Jesus Christ. "In my nearly twenty-five years of book selling I have seen few books which can rival Colossians Remixed for its sheer Christian audacity, its deep desire to be faithful in reading the Word in light of the burning questions of our time. Readers will be sure to be stunned--pondering, reacting, struggling with this fresh take on Scripture, as they are led to good insights about how to live out a transforming discipleship. If this proposal is taken seriously, the Bible will be heard anew, lives will be changed, and God will be pleased." "What would Paul say to contemporary Western culture? Well, it might just look like this. 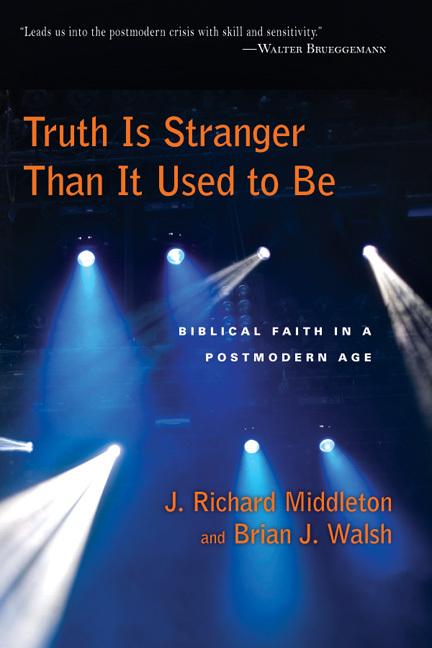 Walsh and Keesmaat have written one of the most creative and exciting books to emerge from the current interface of biblical, cultural and political studies. Bringing together serious historical study of Colossians and the urgent questions of our time, they entertain as well as educate with verve, wit and surprise as well as scholarship and in-depth cultural analysis. Paul recognized that living under a global empire posed particular challenges for Christians in the first century. This book compels us to engage with the equivalent questions we face in the twenty-first." "A gripping, powerful and penetrating interpretation of Colossians for the third millennium! Based on responsible scholarship, enlivened by a discerning imagination and fired by commitment to Paul's gospel, this reading of Colossians by Walsh and Keesmaat is an outstanding contribution to the church's task of conceiving Christ rather than global consumerism as sovereign in our world. At the same time, it is a provocative stimulus to the church's mission of living out that alternative sovereignty in a community of compassion resistant to the forces of coercion from within and without." 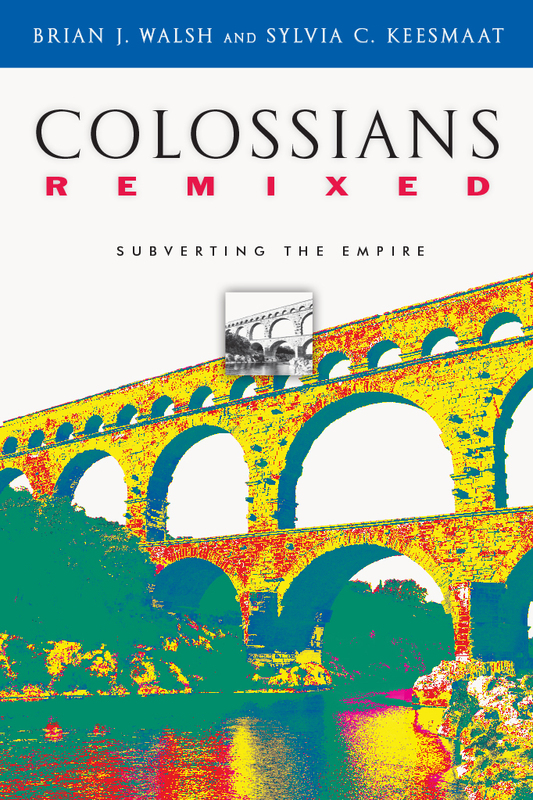 "Colossians Remixed is a book I've been waiting for eagerly; it's a tasty sample of postmodern engagement with a biblical text. It will provide a fascinating and readable entry into Colossians--and deeper into the essential message of Jesus and Paul. And in the process, it will expose readers to evocative and challenging new ways of reading and interpreting both Scripture and our culture." "Brian and Sylvia are phenomenally wise, profoundly formed by their immersion in biblical language, astutely aware of the pains and anxieties of residents in postmodernity, and outstandingly alert to the dangers of enculturated Christianity. This is a brilliant book--using multimedia of imaginative stories, probing conversations, alternative readings. Their targums alone are more than worth the price of the book because they make the Bible come alive with its deepest referents to Israel, to the community at Colossae and to our world, caught as it is in the throes of the empire." "This creative and intellectually stimulating understanding of Colossians offers both a fresh reading of the letter in its first-century setting and a provocative attempt to challenge the cultural elites of the twenty-first century with Colossians' worldview. Not all will agree with its hermeneutical approach or its political positions. Everyone, however, will benefit from thinking with the authors about the ways in which the church has become captive to the dominant culture and the ways in which the dominant culture has too quickly dismissed the church." "This book is a Molotov cocktail lobbed into the midst of contemporary biblical studies and the American empire. It is full of illuminating exegesis of Colossians, rooted in solid knowledge of the Old Testament background and the first-century Roman imperial context of the New Testament. Its most helpful--and controversial--feature is that it demonstrates how a faithful reading of Colossians addresses head-on our contemporary idolatry of consumerism and the postmodern suspicion of truth that characterizes our culture." J. Richard Middleton, Associate Professor of Biblical Studies, Roberts Wesleyan College, Rochester, N.Y.
"Walsh and Keesmaat expertly bring the ancient world of Colossians and the contemporary world of North America crashing together, and the result is dynamite. Rich, provocative readings of Scripture combine with penetrating, trenchant analysis of culture. Insights from a plethora of sources (exegetes, philosophers, musicians) are expressed in a readable, conversational style. A culturally subversive ethic is persuasively put forward for Christ-followers in our age of empire. Not exactly a commentary, this book is much better. 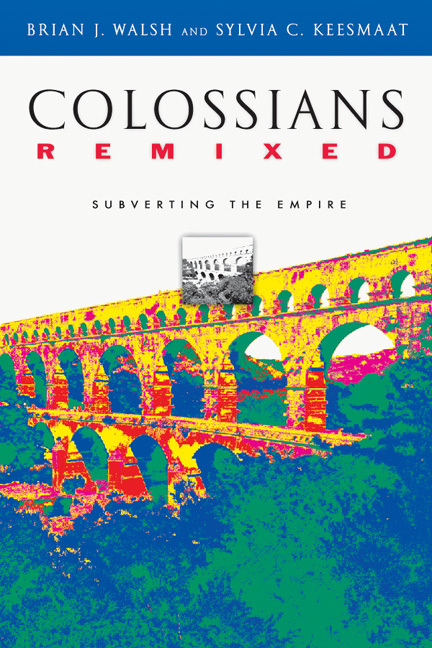 Colossians Remixed is an explosive tract for our times. Take up and read." "After they did all of their exegetical homework, these authors decided to let the book of Colossians touch our lives in the contemporary world. Well, Colossians will never be the same again; neither will the reader. Whereas Colossians usually sits innocently at the edge of the New Testament, this book shows how it becomes front and center for readers amid an empire that manages all of globalization. The book makes clear what a difference there is when the text is given Spirit-led imagination." "An inventive and relevant way to look at the text of Paul's letter to the church at Colossae. The unusual structure and style that Walsh and Keesmaat use accomplishes their goal of explaining Colossians to the 'post-modern' generation. 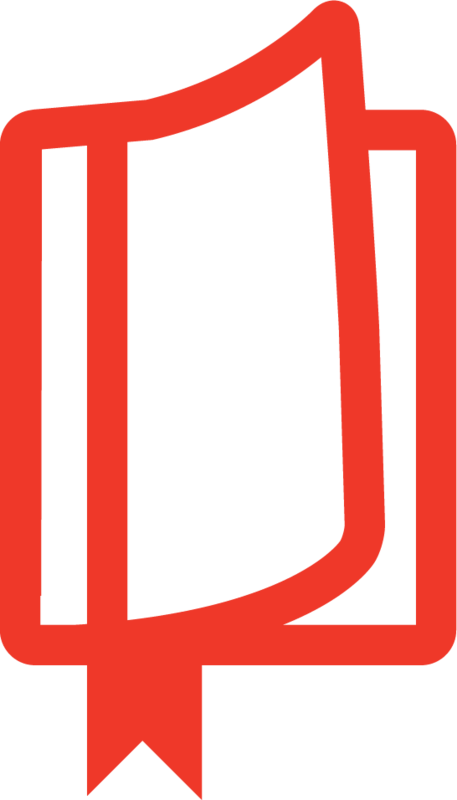 The dialogue, narrative and philosophy sections are engaging and keep the reader from being bogged down with technical language." "This is a bold (and at times controversial) work." "This book is a challenge to think in kingdom terms and values and reach out to people trapped between modernism and postmodernism." 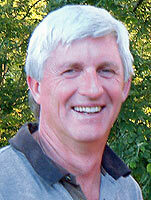 Brian J. Walsh serves as the Christian Reformed Church chaplain to the University of Toronto. With Richard J. Middleton, he wrote The Transforming Vision and Truth Is Stranger Than It Used to Be. He is also the author of Langdon Gilkey and Subversive Christianity. 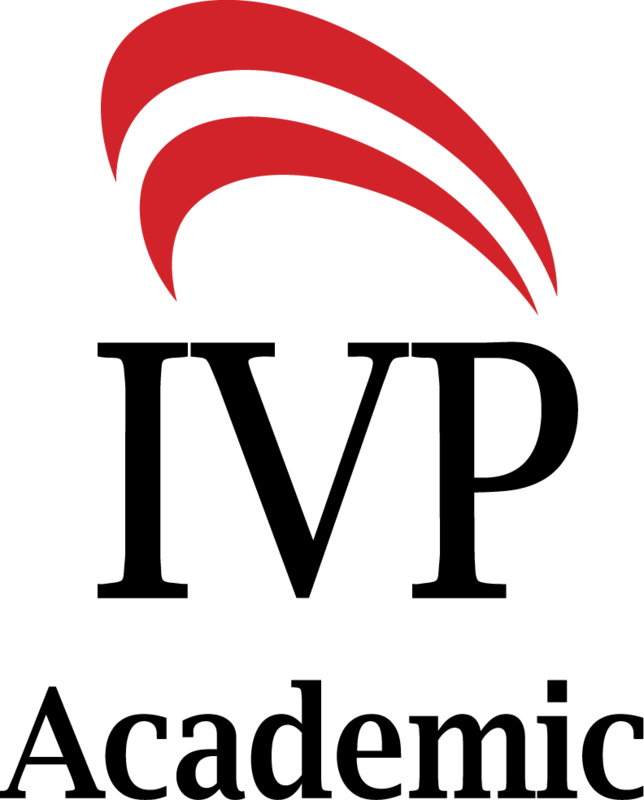 Sylvia C. Keesmaat is adjunct professor of biblical studies and hermeneutics at the Institute for Christian Studies in Toronto. 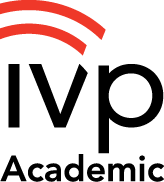 She wrote two articles for the IVP Women's Bible Commentary, and she wrote the book Paul and His Story (Sheffield, 1999). 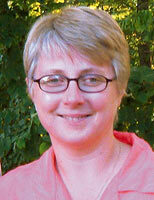 She is also editor of The Advent of Justice (Dordt College Press, 1994).